What is an “Unsecured Creditor” in a Bankruptcy? - Crooks, Low & Connell, S.C.
What is an “Unsecured Creditor” in a Bankruptcy? When you file for bankruptcy, your creditors are entitled to try to collect what you owe from your bankruptcy estate. These creditors can either be “secured” or “unsecured.” In a personal bankruptcy, a secured creditor is typically a bank or other entity that has loaned money for a piece of real or personal property. The most common examples are mortgage lenders and banks that provide car loans. If you default on your mortgage or file for bankruptcy, your mortgage lender can foreclose your home because your home loan is “secured” by the property. All other lenders are considered unsecured creditors. With some exceptions, when you file for bankruptcy, your unsecured creditors get paid out of the general pool of your bankruptcy estate (to the extent there are assets available to satisfy their claims). Then, once again with some exceptions, the balance of your unsecured debts will be discharged, or forgiven, through the bankruptcy process. Priority unsecured creditors are an exception to the rule we just mentioned about unsecured debts being discharged through the bankruptcy process. Priority unsecured creditors are entitled to get paid first out of the debtor’s bankruptcy estate; and, if the available assets do not fully satisfy these creditors’ claims, their debts will remain enforceable following the bankruptcy. Other debts such as student loans and certain medical expenses will frequently be non-dischargeable in bankruptcy as well. But, here too, there are certain exceptions. For example, although difficult, if you can prove “undue hardship,” you may be able to have your unsecured student loans fully discharged. Any unsecured creditor that does not qualify as a “priority unsecured creditor” will be a “general unsecured creditor.” General unsecured creditors have the least protection in Chapter 7 and Chapter 13 bankruptcy proceedings. If there are assets left over after the priority unsecured creditors, secured creditors and the expenses incurred during the bankruptcy process have all been paid, then general unsecured creditors can seek payment from the remainder of the bankruptcy estate. Generally speaking, general unsecured creditors each receive the same pro rata share of the leftover estate. So, for example, if a person who files for bankruptcy owes $50,000 to general unsecured creditors and the leftover amount is $25,000, then each of these creditors would be entitled to collect one half of the amount owed. When deciding whether to file for bankruptcy, understanding each of your creditors’ rights is an important step in the process. For information about some other key considerations, we encourage you to read: Should You File for Bankruptcy? 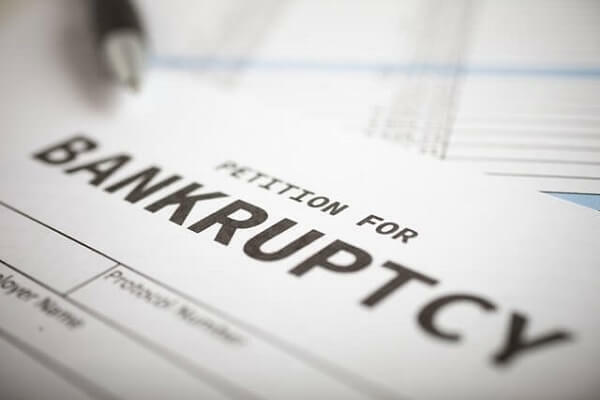 If you would like to speak with an attorney about whether you should file for bankruptcy, we encourage you to contact us for an initial consultation. To speak with one of our experienced bankruptcy lawyers in confidence, please call (715) 842-2291 or submit our online consultation form today.